When it comes to vehicles, it doesn’t need to be a space shuttle to warrant a close inspection before every use. 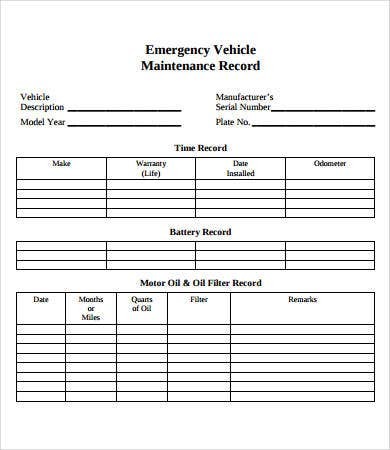 A Log Template for vehicle maintenance is used in various industries where the tip-top shape of the vehicle under question is crucial for the safety of the drivers as well as the functioning of the vehicle under high-pressure, high-speed, high-stakes scenarios. You will want to start keeping a regular log of details to check with space to record certain readings. 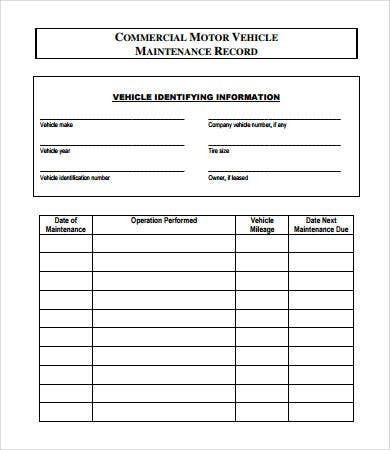 Just like aircraft personnel are required to complete a maintenance checklist before every takeoff, anyone involved with vehicles in professional settings will find these free log templates essential to their routine. 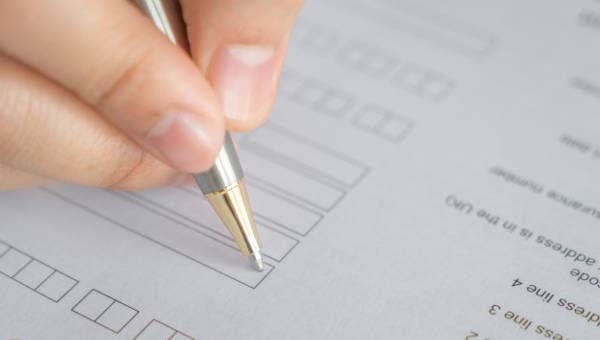 If you’ve ever kept something like a Daily Log Template, you know that a maintenance log of anything will naturally be tailored to the specific object or process under scrutiny. In your case, the intended usage of the vehicle comes into play to tell you what needs to be checked the most. 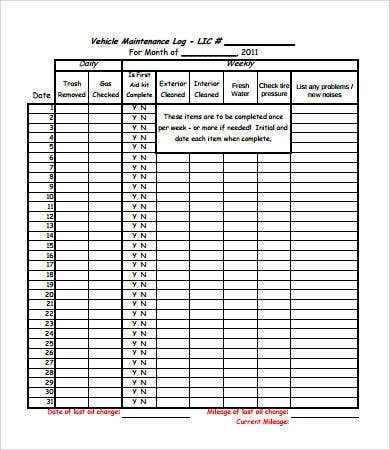 The Weekly Vehicle Maintenance Log Template provided above is a simple but good example for a thorough maintenance checklist. 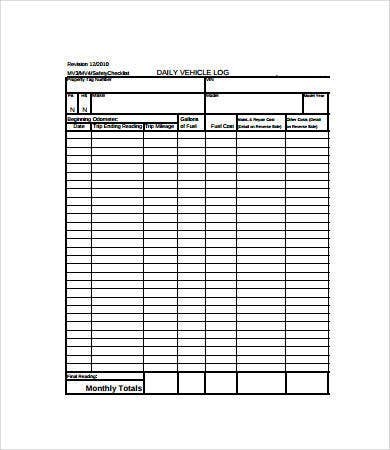 If you are running a taxi operation service and are doing routine checks of your vehicles, Mileage Log Templates will likely be a regular feature of your checkups. 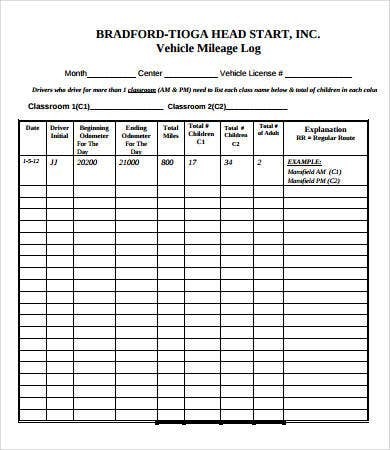 You will also need to keep odometer readings and mileage records (along with every other detail) when you are selling used cars, since this is one consideration every buyer will want to know. If you are part of the service team of formula race cars, a thorough maintenance log procedure will not just ensure good winning chances, but will mean the difference between life and death (or calamity) for your racer. Each log on this page can be downloaded for free as PDF files in zipped folders. 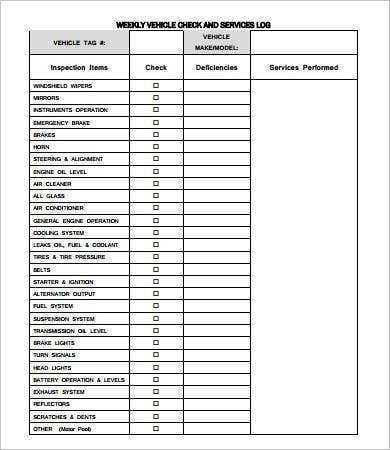 They will be useful for the reasons and situations stated above, but if you are a personal car owner (or if you own multiple cars) these checklists will help you keep your vehicles in good condition. Don’t wait until you are stranded at the roadside to take maintenance seriously. Other areas of your life can be logged for greater benefit. 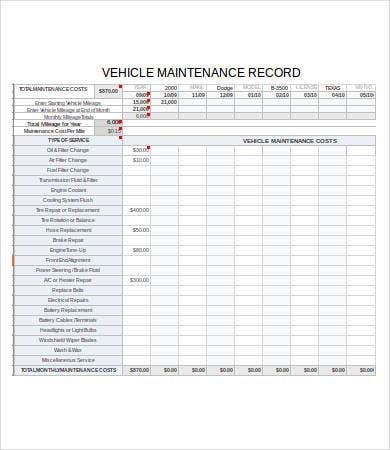 You might want to see some examples of an Activity Log Template to make sure that you, and not just your vehicle, are performing up to speed.